The Royals have a number of key players hitting the open market next winter, but left-hander Danny Duffy will no longer be among them. The Royals announced on Monday that they’ve signed Duffy to a five-year deal that runs through the 2021 season and will reportedly guarantee him $65MM. The contract doesn’t afford Duffy, an ACES client, any sort of no-trade protection and doesn’t contain any options. Duffy will reportedly take home $5MM in 2017, $14MM in 2018, $15.25MM in 2019-20, and $15.5MM in 2020. Duffy’s new contract will buy out four free agent years and keep him in Kansas City through his age-32 season (assuming he isn’t traded down the line, of course). He had filed for an $8MM salary in arbitration, while the team countered at $7.25MM. Using the $7.625MM midpoint between those two figures as a presumptive would-be salary for the upcoming campaign, Duffy sold off four free-agent years for a total of $57.375MM. Certainly, that’s an appealing payday for a player that had previously earned less than $8MM in his career. While Duffy could have taken aim at a massive payday next winter with further improvement in 2017, waiting an additional year would also have come with the risk of injury or a decline in performance. Either of those scenarios would have severely hampered his free-agent stock and made that $57.375MM figure unattainable over the next four seasons. The extension for Duffy, who turned 28 in December, comes on the heels of a breakout season that saw the former third-round pick and top prospect pitch to a 3.51 ERA in a career-high 179 1/3 innings. Duffy averaged 9.4 K/9 against 2.1 BB/9 to go along with a 36.4 percent ground-ball rate and a fastball that averaged a robust 94.8 mph. That type of upside has long been in the cards for Duffy, who rated among the game’s Top 100 prospects per both Baseball America and Baseball Prospectus prior to the 2011 season. Duffy debuted that season at the age of 21 and struggled considerably (5.64 ERA in 105 innings), but he looked to be on his way to an improved sophomore campaign in 2012 after turning in a 3.90 ERA through six starts. Those six games would be the only contests in which he’d pitch that year, though, as Duffy underwent Tommy John surgery that summer and didn’t return to a big league mound until Aug. 2013. Since that time, he’s seen action in both the bullpen and the rotation, but his excellent work in 2016 and this new contract should ensure that he’ll be in the team’s starting mix for years to come. Joining Duffy in the rotation in 2017 will be Yordano Ventura, Jason Vargas, Ian Kennedy and one of Matt Strahm, Nate Karns, Chris Young or Mike Minor. Of that bunch, Ventura also represents a long-term option, as he’s controlled through 2021. Kennedy, too, could stick around for several more years, though he has the opportunity to opt out of the final three years of his contract following the 2017 campaign. Young and Minor are both free agents this coming winter, while Strahm has less than a year of service time and is controllable through the 2022 season. 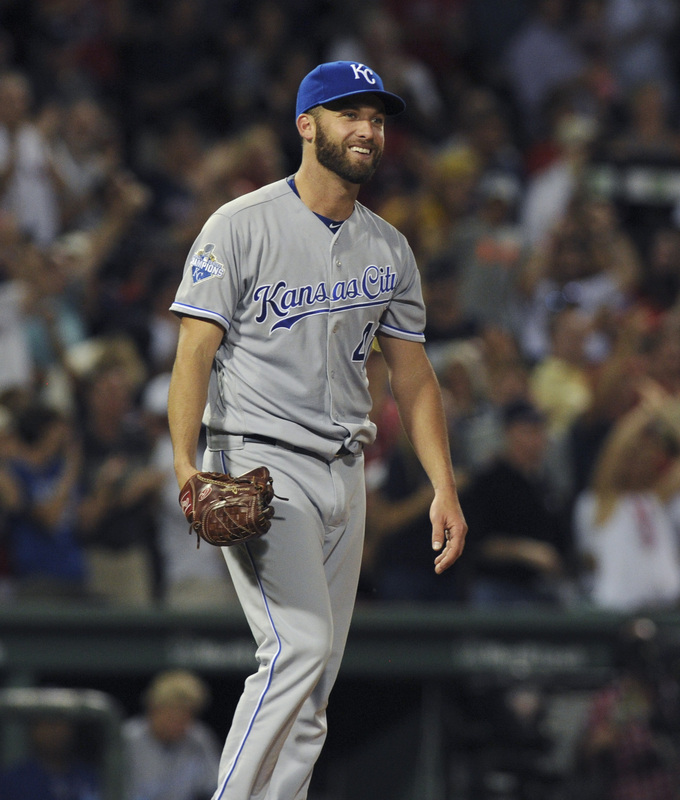 Entering the offseason, Duffy was one of many Royals that was set to hit free agency following the 2017 season. That fate is still on the horizon for the likes of Lorenzo Cain, Eric Hosmer, Mike Moustakas and Alcides Escobar, while others such as Wade Davis and Jarrod Dyson have already been traded (for Jorge Soler and Karns, respectively). By trading Davis and Dyson for a pair of cheaper Major League assets and also agreeing to an extension with Duffy that will pay him less in 2017 than he’d have earned on a one-year deal in arbitration, GM Dayton Moore has succeeded in lowering his 2017 payroll without completely stripping down the core of a potential contender. The Indians remain the on-paper favorite to capture the AL Central title in 2017, but keeping Duffy in the fold for several years to come will help Kansas City remain competitive even as the team transitions to a new core of players. Jeff Passan of Yahoo Sports first reported the agreement and the terms (via Twitter). FanRag’s Jon Heyman added that the deal does not have a no-trade clause or any sort of option (Twitter link). Rustin Dodd of the Kansas City Star reported the annual breakdown of the deal (via Twitter).